One of the harsh realities of life is that if you live long enough, at some point you may need move into a long-term care facility, otherwise known as a “skilled nursing facility”. The cost of these facilities can be downright crippling to most families. At a typical cost of between $6,500 to $10,000 per month ($78,000 to $120,000 per year), a lifetime of savings can be lost in just a few short years at one of these facilities. The advice provided by most of the facilities that offer long-term care, while well-intentioned, is generally unhelpful and in some cases bad. They typically tell people that they need to “spend down” their assets and then apply for Medicaid. While technically correct, this is poor advice and can cause people to begin aggressively spending everything they have so that they can apply for benefits to assist with the cost of care. Simply click here to register for our next seminar or call our office at (919) 883-4861 and schedule a quick call with us. Generally speaking, there are four ways that a family can pay for long-term care expenses. They can use their income to pay the monthly costs, they can spend all their assets to pay the monthly costs, they can utilize a long-term care policy in combination with proactive planning to protect their assets, or they can engage in “crisis planning” and apply for Medicaid. If you have enough income each month to pay for the cost of a long-term care facility, then this is the easiest way to pay for those monthly expenses. How might you have enough income to pay upwards of $10,000 per month (after tax)? If your monthly income exceeds the cost of care, then you should be able to pay for long-term care in the short-term while engaging in proactive planning to protect your assets in the long-term. Unfortunately, this is the most common way that people pay for long-term care initially. Without seeking legal help or assistance, many people assume they need to spend all their money before they can apply for benefits to assist in the cost of care. If you find yourself in this situation, don’t wait, contact us immediately to discuss whether crisis planning might be an option for you. If you were smart enough to purchase a long-term care insurance policy before you needed care, then I tip my hat to you. Most people don’t consider long-term care insurance until it is too late and/or too expensive for them to apply. But if you do have long-term care insurance be aware that it probably won’t cover you indefinitely. Most policies only cover your expenses for a limited period of time – typically 3-5 years. This means that you can engage in some proactive planning while the insurance company is paying the monthly cost of long-term care. Proactive planning may involve the use of various trusts and/or gifting strategies that would ordinarily trigger a penalty if done within 5 years of applying for Medicaid benefits. However, because the insurance company is footing the bill for your care for a period of time, you can hold off on applying to Medicaid until after the 5-year look-back period is completed and avoid the penalty. This is the situation that many people find themselves in when they come to my office. They have a loved one who recently entered a facility and now they need to figure out how to protect all of their assets and apply for Medicaid. 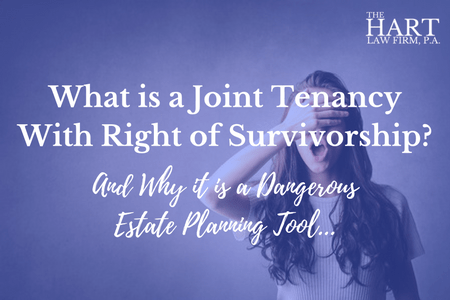 In these situations, there are a number of legal strategies we can use to help them protect assets from the cost of care. The key is to know what the Medicaid rules are and how best to use them to your advantage. 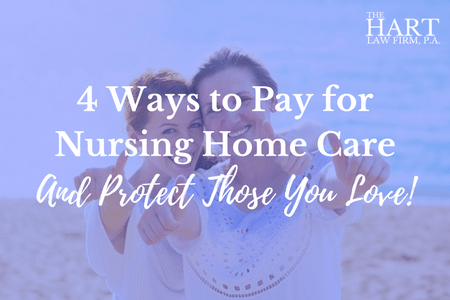 While we can’t normally protect all assets from the cost of long-term care, it is not unusual to be able to protect 50% of assets that would ordinarily go to pay a nursing home. And if you have a loved one who has $500,000 to a million dollars in the bank, this is not an insignificant amount of money. If you would like to learn more about the strategies we use to help our clients protect everything they spent a lifetime to build, we routinely conduct monthly seminars in our office to review the options that are available to you to pay for long-term care expenses. 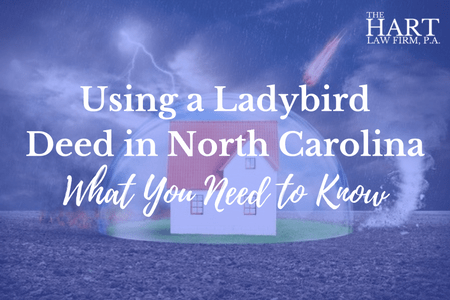 Previous Post: « What is a Ladybird Deed?